A pharmaceutical company that integrates its core values into the creation of products unlike anything you've tried before. 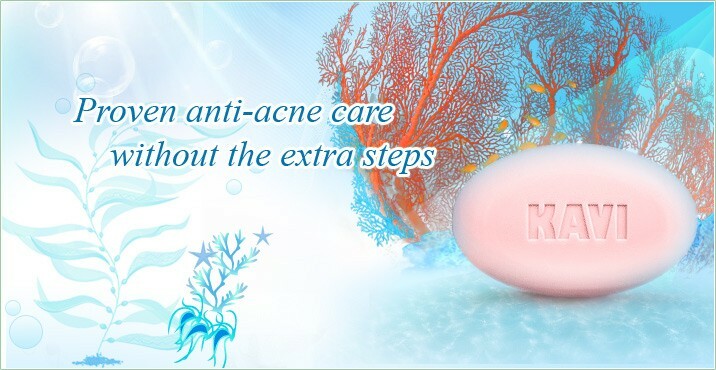 Free of animal testing and ingredients, free of parabens and other volatile inactives, and 100% non-comedogenic, KAVI products provide only what your skin needs, nothing more nor less. 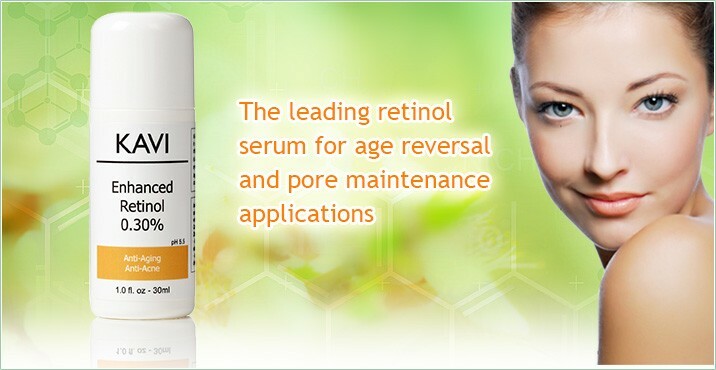 Our R&D efforts are focused on anti-aging and anti-acne treatment in formulations spanning cleansers, peels, serums, and moisturizers. During treatment, our products will help exfoliate dead skin cells, reduce large pores, neutralize acne infections, and reduce the effects of acne scarring, age spots, wrinkles, and various keratoses. 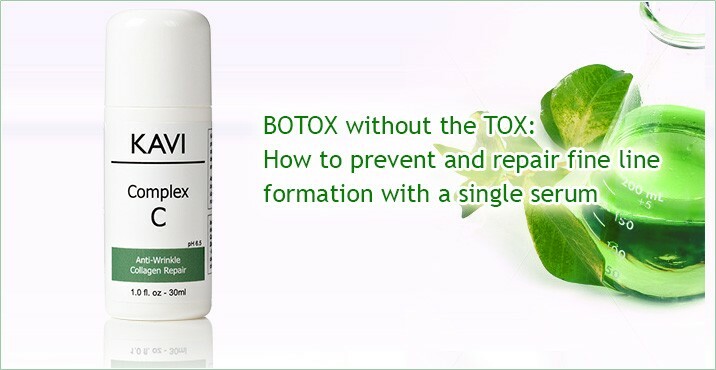 They can also alleviate the symptoms of inflammatory skin conditions like eczema, psoriasis, rosacea, and many skin allergies. To restore the skin's collagen-elastin matrix and rehydrate the epidermis, our advanced treatments are excellent tools in the mission to reverse the aging process and restore the skin's natural vigor. 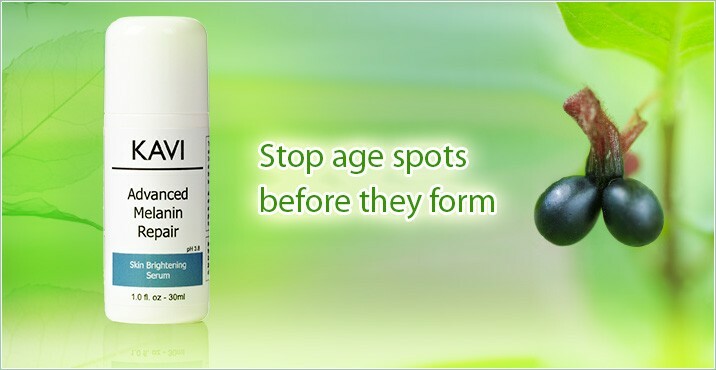 KAVI anti-aging actives include alpha arbutin, argireline, glycolic acid, hyaluronic acid, and retinol, many of which are available in an array of strengths and formulations. 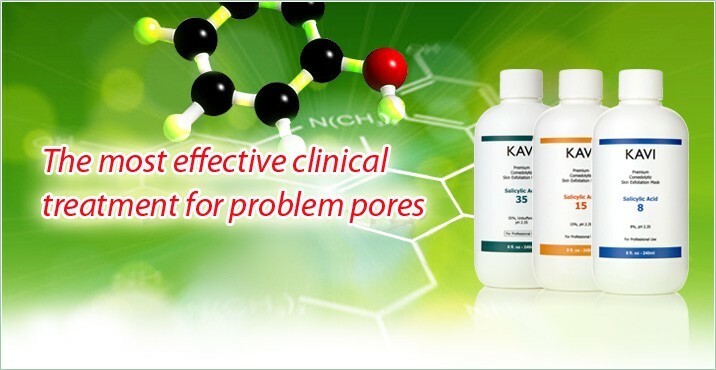 KAVI sulfur and salicylic acid cleansers, masks, serums, and suspensions can treat the full spectrum of pore-related conditions without the long-term side effects associated with antibiotics, benzoyl peroxide, isotretinoin, and others. 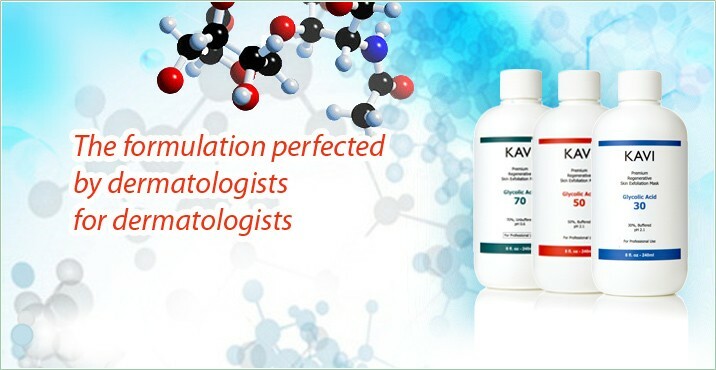 Whether the diagnosis is blackheads, ingrown hairs, or severe cystic acne, KAVI has the right solution for your skin and treatment goals. 04-01-2019 For the month of April only, SAVE 20% off of a 12-bar bundle of Coral KAVI!! Did you know that you can earn KAVI points with every purchase? Redeem points for KAVI products or gift certificates. Click here for more information. 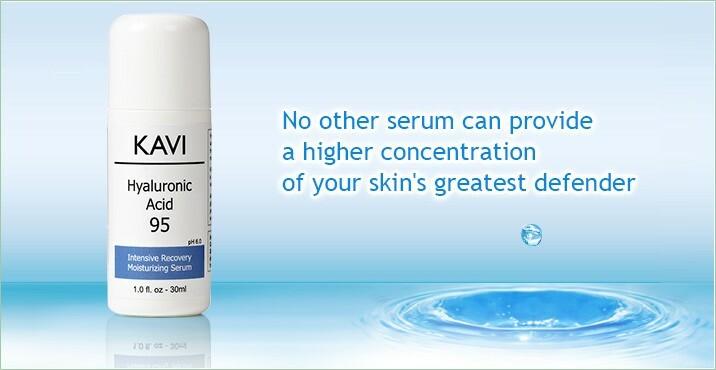 With the highest concentration of Hyaluronic Acid available in a topical humectant, KAVI Hyaluronic Acid 95 provides the quickest path to reversing the effects of epidermal dehydration.